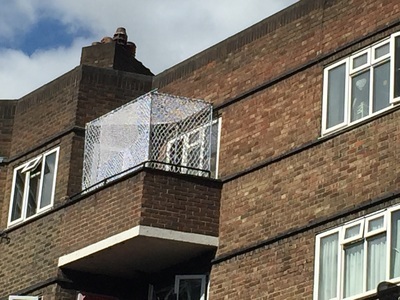 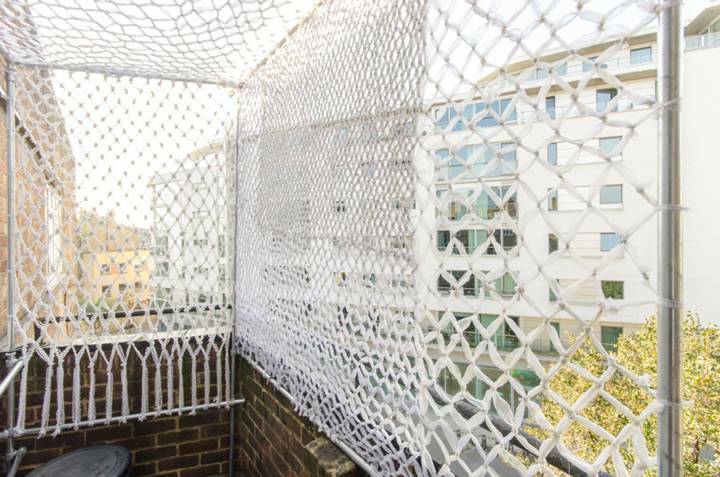 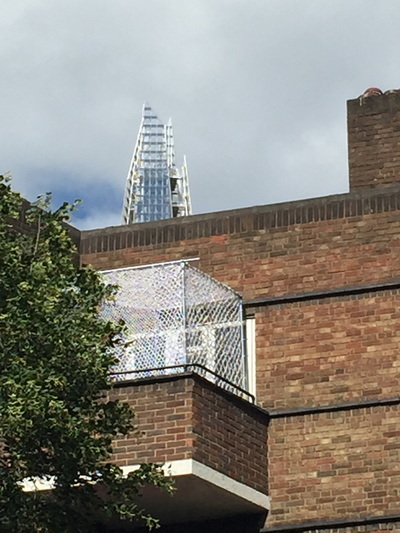 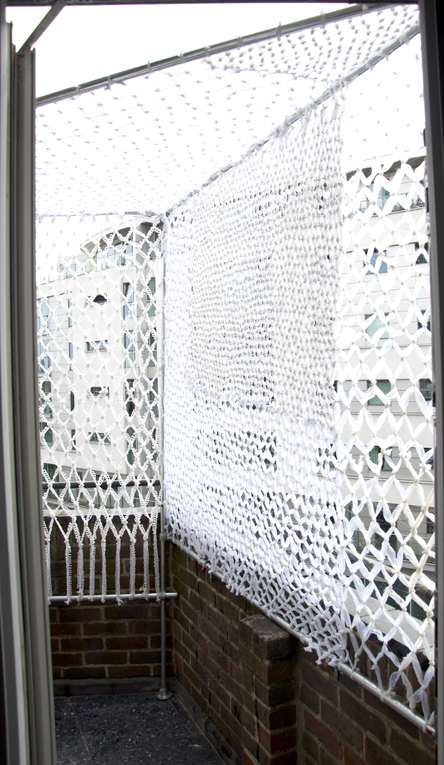 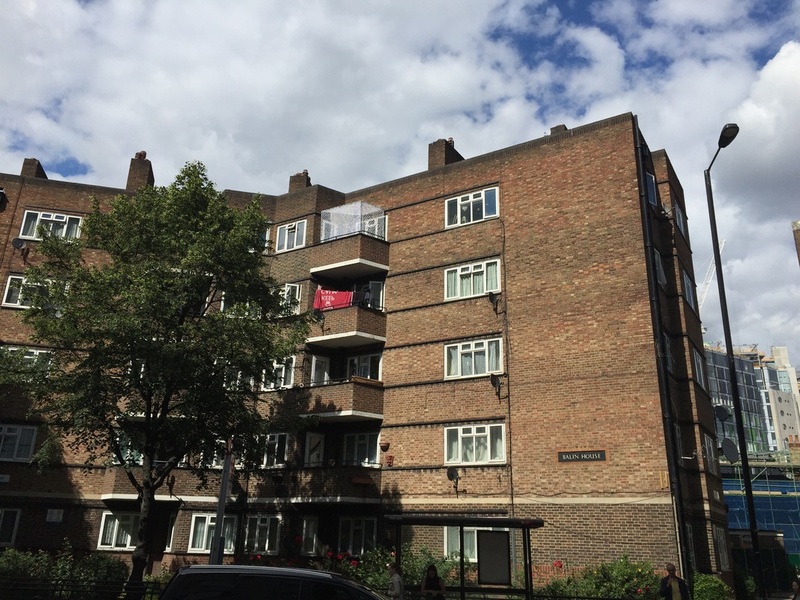 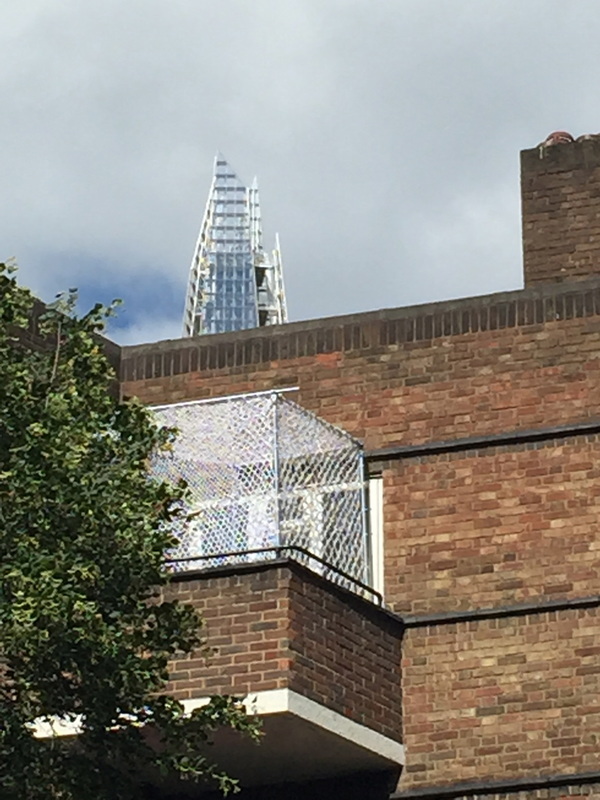 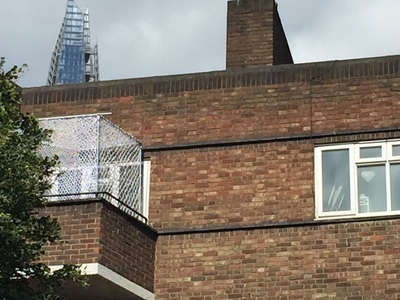 Folke Köbberling will install for the time from July 18th to September 15th her work “lean-to” on the balcony of the Balin house, a council house in the middle of Southwark. 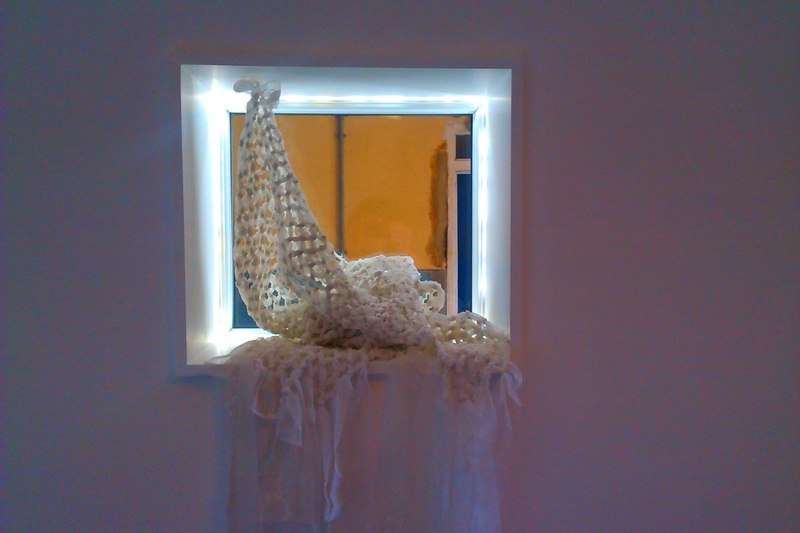 “Lean-to” is made out of old lace curtains, which she has cut and tightly knot into a construction net. 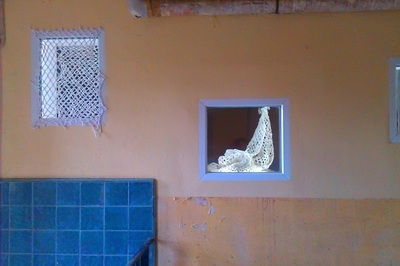 A lean-to is a type of simple structure originally added to an existing building with the rafters "leaning" against another wall. 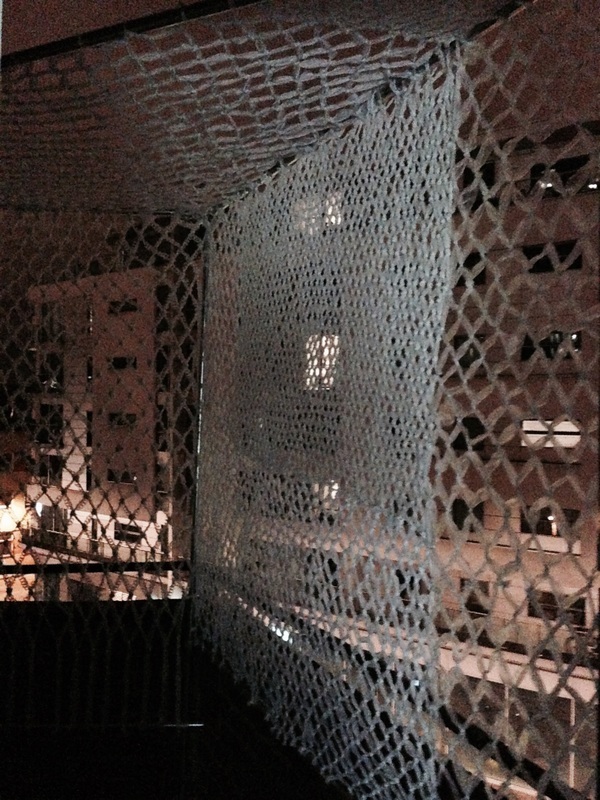 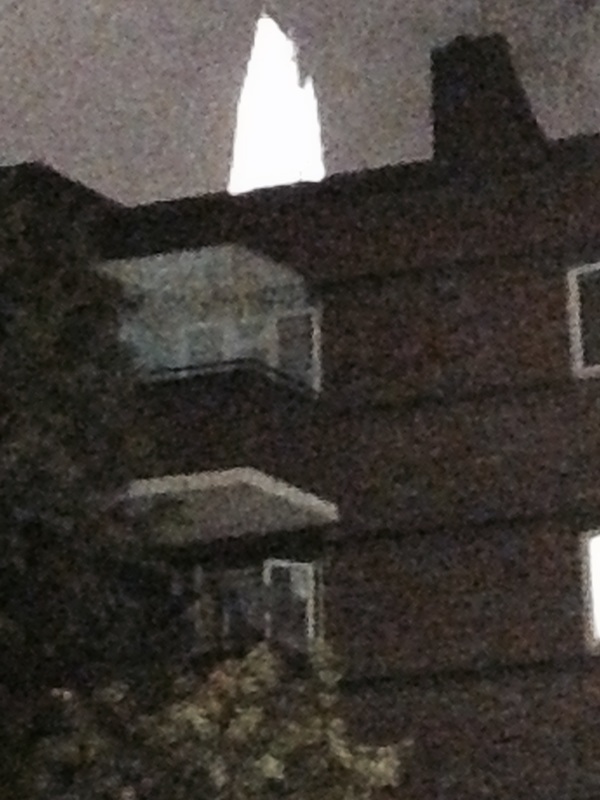 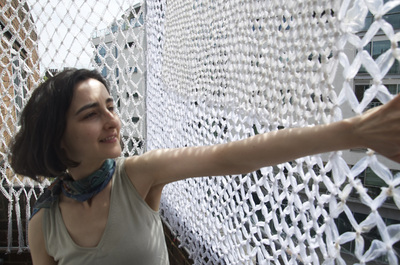 The 3 m x 3 m large net is hanging on a scaffolding construction. 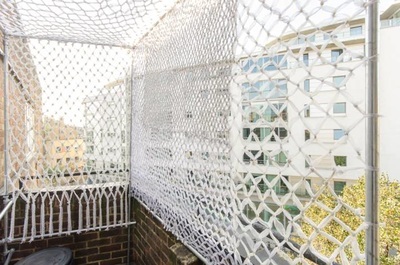 Investors leave lace curtains hanging in the windows of former tenants to suggest a still active household in the house.